Eight years ago, on 29 March 2004, Lithuania joined NATO. Today there are several aspects which should be discussed with regard to the membership. At the beginning let me remind several interim stops in Lithuania’s road toward the Alliance. 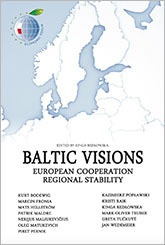 Prior to the Soviet Union’s collapse Lithuania could rely on the services of the Baltic Information Bureau which started functioning on 17 November 1990 in Brussels. This Bureau served as Lithuania’s diplomatic representation in the NATO and the EU. Vytautas Landsbergis, Chairman of the Supreme Council of Lithuania, paid the first visit to the NATO Headquarters on 31 May 1991. On 4 January 1994 President Algirdas Brazauskas sent a letter to NATO Secretary General Manfred Werner expressing the desire of Lithuania to become a member of the Alliance. The official Lithuania’s mission to NATO was established on 1 August 1997. 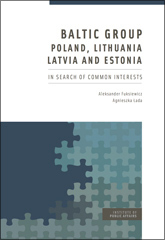 Seven years prior to membership in the Alliance Lithuania has to do a considerable amount of “homework”, namely: implementation of various programs, action plans, NATO sessions (including the NATO Parliamentary Assembly Spring Session in Vilniusin 2001). On 29 March 2004, the then Lithuania’s Prime Minister Algirdas Brazauskas and Prime Ministers of Bulgaria, Estonia, Latvia, Romania, Slovakia and Slovenia met in Washington and submitted the documents ratifying the Washington Treaty to the U.S. Secretary of State Colin Powell. On this historic day Lithuania became a full-fledged member of NATO. Since historically Lithuania was in the crossroad of various threats, it expected from the Alliance protection from possible dangers. The major hopes were related to Article 5 of the North Atlantic Treaty setting forth the principle of collective defense. Lithuania experienced a new emotional uprising during the visit of the U.S. President George W.Bush in Vilnius in November 2002. Then the American leader said: “…anyone who would choose Lithuania as an enemy has also made an enemy of the United States of America. In the face of aggression, the brave people of Lithuania, Latvia and Estonia will never again stand alone” and nearly the whole country rejoiced. Is there any point in discussing the above? In the website of the almanac “Politologija“ I found the article “Lithuania and NATO: Expectations and Reality” by a young political scientist Emilis Kazlauskas. 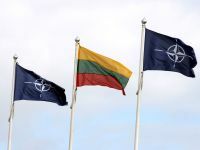 According to the author, though membership in NATO is the main strategic imperative for Lithuania, “the Alliance cannot guarantee full security”. The author reminds the year 2005, when a Russian Su –27 jet fighter crashed in the territory of Lithuania (it has been flying in the skies of the country for about 30 minutes). Since NATO’s air police took off only two minutes before the crash of the jet fighter, Russian general V.Mikhailov said that this demonstrated the weakness of the NATO mission. In view of this the above plans have been elaborated much later by the initiative of the general John Craddock. They are also mentioned in the NATO’s Strategic Concept which was approved in December of the last year. Yet, so far the draft document is kept secret, and a specific plan is still being coordinated. In fact, this is the inner side of the Alliance’s activity. NATO members follow the above Strategic Concept approved in Lisbon on 19 November 2010. 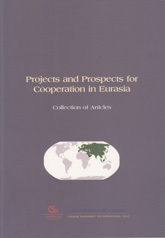 Article 5 of the Concept is defined as the ultimate goal of the organization. It is also a security guarantee for Lithuania.